Hello and welcome to Day 2 of our October Digital Stamp Release Showcase! Here is my card creation for Day 2 of the Whimsy October release. 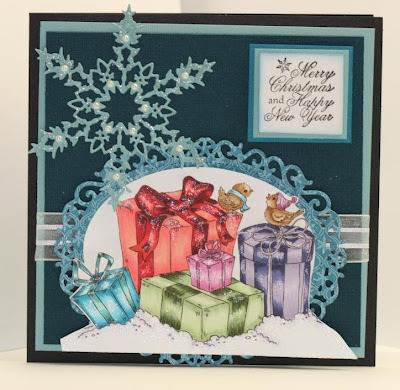 This card is done using the wonderful digital stamp from Whimsy stamps called presents from Lia Stampz. It's hard to believe that Christmas is just around the corner, seems like I just said that about summer. But lots of people are starting to make Christmas cards already to get their stack complete in time to mail for the holidays. 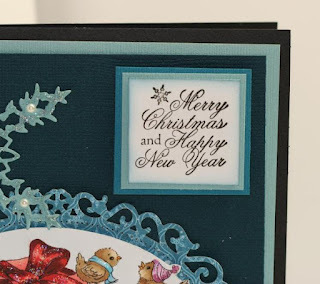 The sentiment that I used is a Whimsy stamp as well. I hope that you will join us and comment on each DT members cards for a chance to win. Digital stamps are wonderful and easy to use. I hope you will enjoy the rest of the DT's creations as they are wonderful and very inspiring. I love this snowflake, this is the first time that I've used it. It's very delicate. Supplies: Paper Bazzill cardstock & moxxie patterned paper. 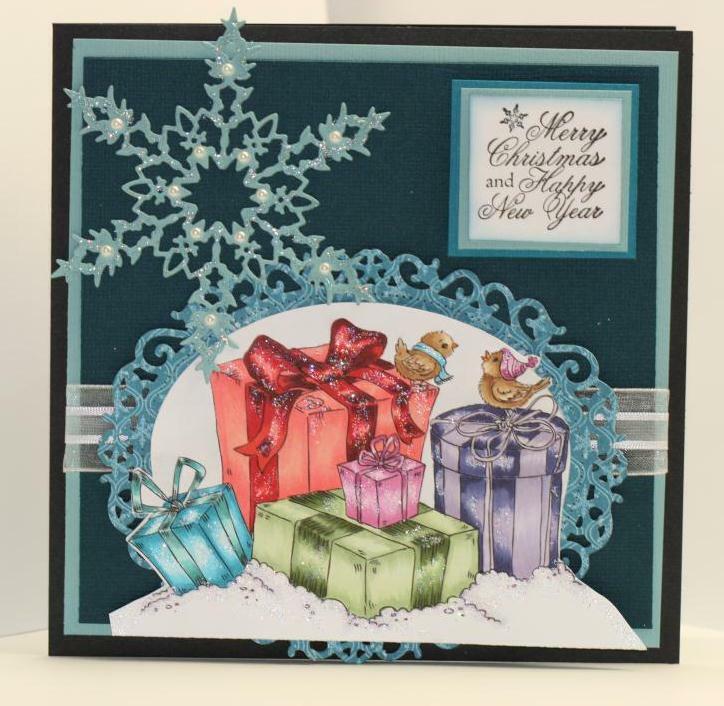 Embellishments: Zva pearls, Ranger stardust stickles, ribbon. ohhhhh wow this is stunning. Love the way you have colored this beautiful image. Just looooove the dies you have used. Gorgeous card - love your coloring. Beautiful Christmas card...love the blue theme and the colouring of the image. 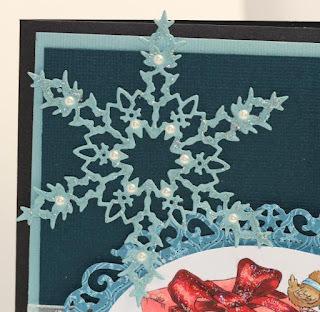 Woweeeeeee I love it, the image awesome job...doing the happy dance that snowflake die...wahooo! Wow factor...the colors you used...fantabulouso...BAM~Great job! What a lovely card and image.